Dhansak is a popular Indian curry made from meat, lentils and flavoured with spices including cumin and ginger. It’s mild, sweet and rich with just enough heat to satisfy most tastes. 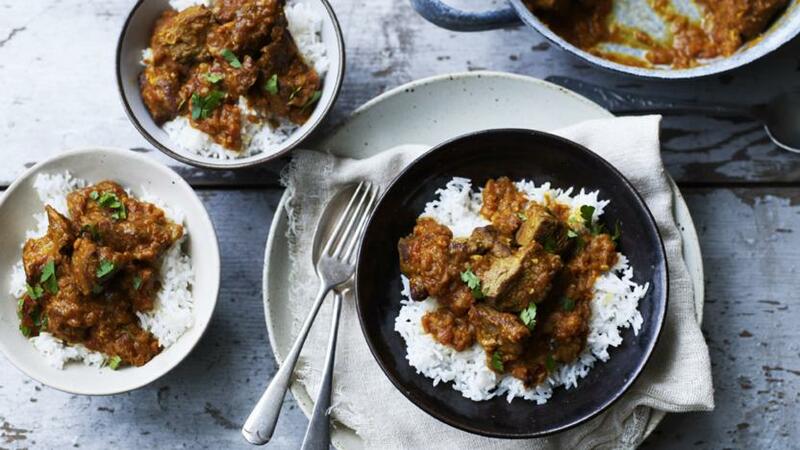 Best of all this lamb curry benefits from being made a day in advance as it tastes even better re-heated the next day. Preheat the oven to 150C/300F/Gas 3 (130C fan). Heat two tablespoons of oil in a large frying pan. Add the lamb and fry in two batches until browned. Remove from the pan with a slotted spoon and set aside. Add the remaining oil to the pan. Add the onion and fry for 4-5 minutes, or until beginning to soften. Meanwhile, place the ginger, garlic and chilli into a small food processor and blend until finely chopped. Bash the cardamom pods with the end of a rolling pin to split the husks, then remove the seeds and grind them to a fine powder in a pestle and mortar. Add to the pan with the remaining spices and the garlic and ginger mixture. 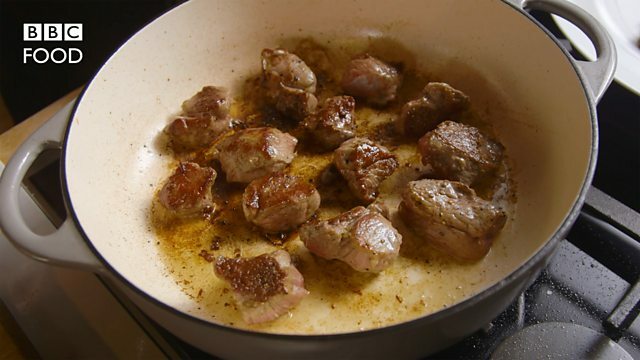 Add the remaining ingredients to the pan and add the lamb. Bring to the boil, then cover and place in the oven to simmer for 1½-2 hours, or until tender. Check the seasoning and serve with boiled rice. To freeze, transfer to a freezer container and freeze for one month. Don’t freeze for longer as the flavours will intensify. It is difficult to tell how hot a chilli is going to be - the large chillies in supermarkets are usually mild and will give enough heat for most tastes in this curry, but use more or less as desired. Don’t waste any leftover chillies, they freeze well and can be chopped even when frozen. If you don’t have a pestle and mortar for the cardamom seeds, add 1½ tsp ground cardamom instead.